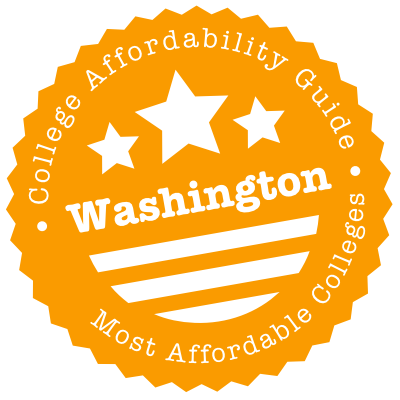 Scroll down to see our top-ranked colleges in Washington, loans and scholarships for Washington students, and advice on how to save money going to college in Washington. With a little over 15,000 students and 160 academic programs, the Western Washington University is small enough to give students easy faculty access and large enough to give them the research, educational and social options they need for a solid, well-balanced college life. Admitted in-state freshmen with outstanding academic records are eligible for the Western Washington University Presidential Scholarships ($1,000 to $6,500 for the freshman year only). Entering freshmen who are not Washington residents may qualify for the Western Achievement Award ($5,000 annual reduction in non-resident tuition for four-years). The Lorraine M. Mortimer Scholarship supports freshmen with excellent academic standing, a history of community involvement and demonstrable financial need. The scholarship covers tuition and fees for four-years. The students at Washington State University have a vast selection of academic programs available to them, including 95 academic majors for undergraduates, 76 master's degree programs, 66 doctoral degree programs, and 3 disciplines with professional degree programs. Entering freshmen with exceptional academic histories are considered for the Regents Scholars Program. This program has two levels; the Distinguished Regents Scholar (full tuition and mandatory fees) and the Regents Scholar ($4,000/year). Admitted freshmen who come from middle to low income families may be eligible for the Cougar Commitment Scholarship (full tuition plus required fees). Washington residents with an associate's degree and who are transferring to WSU are considered for the Transfer Achievement Award ($2,500/year). Fully accredited by the Northwest Commission on Colleges and Universities, Evergreen State College does not offer any formal majors, and instead allows students to create programs that suit their goals and support their interests. Incoming and current students may be considered for a number of scholarships, including the following: Chastain/Barnett Scholarship ($5,530/year for computer science, digital media, and technology students), Colin Reese Memorial Scholarship ($3,474/year for political science, economics and/or political economy students), and the Jean Hahn Scholarship ($3,399/year for non-traditional students, first-generation college students or students from under-represented groups). Students working towards a Bachelor of Science with a concentration in laboratory-based biology or chemistry may be eligible for the National Science Foundation STEM Scholarships (up to $5,000/year). Central Washington University is a four-year college that offers over 135 majors but is best known for its programs in music, geology, paramedicine, physics and education. Of all full-time beginning undergraduates at CWU, 87% receive some type of financial aid. Institutional scholarships or grants are awarded to 71% of these students, including need-based grants for Washington state residents ($300 to $2,100 per year). The University also offers full-tuition waivers to dependent children of disabled or deceased fire or police officers and dependent children or spouses of disabled or deceased veterans. Veterans who have served in foreign conflict are eligible for the Central Veteran Grant, which provides up to $1,500 per year. Scholarship opportunities include the President's Tuition Award ($4,000 over two years), the Trustee's Tuition Award ($3,000 over two years) and the Wildcat Tuition Award ($1,000 per year). Budget-friendly choices in Washington include big public institutions like the University of Washington (UW) and Washington State University (WSU), regional powerhouses like Western Washington University (WWU) and a generous helping of community colleges. A variety of state financial aid packages are available for low-income students and there are lots of private and institutional scholarships up for grabs. Like many states, Washington also has loan repayment programs specifically targeted at teachers and healthcare workers. Washington does not offer a significant statewide college credit transfer agreement, however, most institutions in Washington will accept college level courses completed with regionally accredited colleges and universities in the state. Students can also benefit from a transferrable associate’s degree program as well as a reverse articulation policy. In addition to transfer of regionally accredited college credit, Washington offers a direct transfer associate’s degree that was designed for transferring to four year institutions. The Direct Transfer Agreement Associate Degree offers students completion of lower division general education requirements, credit for all courses completed — and some beyond, as well as priority consideration in admissions and more. Students in Washington can also complete designated tracks and major related programs. Students who have not yet earned an associate’s degree can take advantage of Washington’s Reverse Articulation Policy Agreement. This allows students to transfer credits from a four year college or university to satisfy degree requirements and receive an associate’s degree from a community or technical college. Washington does not offer a statewide course transfer matrix or search tool. Students are encouraged to contact their desired transfer institution to find out how their college credits may transfer. Although the Washington Student Achievement Council (WSAC) is in charge of administering state-funded student financial aid programs, its site is primarily targeted at administrators. That’s why WSAC created a more user-friendly Ready Set Grad website for students, parents and educators. This is the one to bookmark. Ready Set Grad has detailed advice on financial aid, planning tools and timelines for middle grade & high school students, guidance on continuing education and a link to the Washington Application for State Financial Aid (WASFA). If you’re ineligible for federal financial aid due to immigration status, we recommend you complete the WASFA. Worried about the application process? Check out the calendar of College Goal Washington State events. College Goal is a free, on-site program that provides step-by-step guidance with filling out the FAFSA and the WASFA. Ready Set Grad also allows you to sign up for email and text updates about important college and financial aid deadlines. After you’ve visited Ready Set Grad, take a look at theWashboard.org. Sometimes compared to eHarmony, the Washboard is a free scholarship matching clearinghouse for Washington residents and students attending Washington schools. You create a profile and the Washboard matches you with opportunities. Independent Colleges of Washington (ICW) also has a list of scholarships for students attending member colleges. Summary: The Washington State Board for Community and Technical Colleges (SBCTC) provides opportunity grants to help low-income students complete up to one year of college and a certificate in a high-wage, high-demand career. The grant includes tuition & fees for up to 45 credits, funding for required books and supplies up to $1,000 and a variety of supports (e.g. tutoring, career counseling, emergency child care, industry mentor, etc.). How to Apply: File your FAFSA (or your WASFA if you are ineligible for financial aid due to immigration status). Contact the Opportunity Grant Coordinator at your community or technical college. The coordinator can help you apply and tell you which programs qualify. Summary: The SNG is given to low-income undergraduate students who need help pursuing a college degree, training for a new career or refining skills. Grants can be used at eligible institutions in Washington, including technical colleges and private career colleges. Grants are based on a student’s financial need, so award amounts vary (the SNG website has a handy chart of award amounts). In 2015-2016, the maximum award amount was $10,531 for attendance at WSU; grants for community colleges were significantly smaller. How to Apply: File your FAFSA. If you can’t fill out the FAFSA due to immigration status, you can apply by submitting the WASFA. Summary: The AIES is available to financially needy students with close social and cultural ties to an in-state American Indian community. The scholarship can be used for undergraduate or graduate studies. Annual award amounts range from about $500-$2,000. Students are eligible to receive their college scholarships for up to five years. Renewal scholarships are not automatic and require submission of the application each year. How to Apply: File your FAFSA and complete the AIES Application. Summary: The CBS is targeted at low-income 7th and 8th grade students. In return for a pledge to graduate from a Washington State high school with a cumulative 2.0 GPA or higher, these students may be able to receive a four-year college scholarship for tuition, service & activity fees and a small book allowance at an eligible institution. College Bound is not a “full-ride” scholarship—the maximum annual award matches tuition & fees at a public institution (plus the book allowance). You’ll be responsible for room & board, transportation, personal expenses, etc. Also, the final award amount depends on your family’s income, the Expected Family Contribution (EFC) and your choice of school. Students must graduate with a high diploma or the equivalent; a GED does not qualify. How to Apply: Complete the CBS Application before the end of your 8th grade year and achieve a cumulative 2.0 GPA in high school. In your senior year, file your FAFSA (or your WASFA if you are ineligible for financial aid due to immigration status) and make sure you list every eligible institution you’re considering. Then ask your school’s Financial Aid Office if you need to fill out any other forms. Summary: The Passport scholarship is only available to Washington foster care youth. In addition to helping students with college costs (tuition & fees, books, room & board, transportation and some personal expenses), the program provides specialized support and access to services from the College Success Foundation. In 2013-2014, the maximum annual award was $4,500. However, the program also gives students priority consideration for the State Need Grant (SNG) and State Work Study (SWS). How to Apply: Complete the Passport Consent Form. If you’re approved for Passport, you must notify your college’s Financial Aid Office of your eligibility. Summary: The WSOS is not a state-administered scholarship, but we wanted to let you know of its existence. It provides financial support to low- and middle-income students who are pursuing high-demand majors in science, technology, engineering, math (STEM) or healthcare. Recipients are encouraged to work in Washington state once they complete their degrees. If selected as a high school senior, you can receive $2,500 per year for up to three years (0-59 semester credits). Once you have completed your third year of college, you can submit documentation to increase your scholarship to $5,000 (60-89 semester credits) and subsequently up to $7,500 (90-120 semester credits). The scholarship drops back to $5,000 when WSOS determines that you have earned 121 semester credits. You can only receive WSOS funding for a maximum of five years. The WSOS has lots of detailed information on the scholarship and answers to New Applicant FAQs. How to Apply: File your FAFSA or WASFA, complete a WSOS Application and mail your official high school or college transcript to the College Success Foundation. Summary: ALP provides low-interest loans to Washington students enrolled in the Washington Aerospace Training and Research Center (WATRC) Program—a 12- to 16-week certification program that provides training for specialized entry-level aerospace workers. Students may enroll in this program at the Edmonds Community College Business Training Center or Renton Technical College. You can receive up to $2,400 for your first CORE training module (the four-week online segment) and up to $2,700 for your second training module (the on-site classroom training segment). Once you’ve completed both segments, you can request up to $2,700 to pay for the Quality Assurance Certificate. You will have up to four years to repay your loans after your complete the program. How to Apply: Complete the Aerospace Loan Program Application and Promissory Note. Once you have been approved for a loan, contact Edmonds Community College or Renton Technical College to register for the program. Summary: This scholarship provides financial assistance (forgivable loans) to certified teachers in Washington State who wish to add endorsements in certain subject or geographic shortage areas. Candidates may apply for a second scholarship in order to pursue an additional endorsement, but only after completing the teaching service obligation tied to the first award. You can receive up to $3,000 in a forgivable loan per endorsement add-on. This award must be used for education expenses such as tuition, the endorsement test (WEST-E/NES), the pedagogy assessment and related expenses (e.g. books, supplies, transportation). The state forgives the loan obligation entirely if you complete two years of teaching service (per scholarship) in the endorsement area. This service must be completed in a Washington state K-12 public school. If you renege on your obligation, you’ll be required to pay back the loan with interest and fees. How to Apply: Complete the Promissory Note, an Endorsement Budget and an Administrator Letter of Support (all forms are available on the scholarship website) and send your materials to the Professional Educator Standards Board (PESB). Summary: The HPLRP provides loan repayments to licensed primary care health professionals (e.g. doctors, nurses, dentists, physician assistants, etc.) who agree to serve in critical shortage areas throughout Washington State. This includes rural or underserved urban areas. There are actually 2 programs under this umbrella: the Federal-State Loan Repayment Program (FSLRP) and the Health Professional Loan Repayment Program (HPLRP). The FSLRP asks you to commit to a minimum two-year contract with a maximum award of $70,000 in loan repayments. Awardees must work a minimum of 40 hours per week. The HPLRP asks you to commit to a minimum three-year contract with a maximum award of $75,000 in loan repayments. How to Apply: Complete an HPLRP or FSLRP Application through the WSAC online portal. Summary: The JRJ SLRP is a federally funded but state operated program. It provides forgivable loans to licensed attorneys who commit to three years of service in state or local prosecutor offices or in public defender offices operated by federal, state, local or tribal government entities. How to Apply: As of 2016, applications were closed. However, WSAC has the option to open an application cycle in order to maintain a balance in the ratio of public defenders/prosecutors, so check back. A surviving spouse has ten years from the date of death, total disability or federal determination of POW or MIA status of the eligible veteran to receive this benefit. Upon remarriage, the surviving spouse is ineligible for the waiver of all tuition and fees. How to Apply: Contact the Financial Aid Office at your choice of school. You will usually be expected to produce proof of your parent or spouse’s military service, documentation recording their disability or death, a copy of your birth or marriage certificate and proof of your Washington domiciliary. Summary: State community and technical colleges, state universities, regional universities and Evergreen State College can waive all—or a portion—of tuition & fees for eligible veterans or National Guard members. The term “veterans” includes active military and naval veterans as well as reserve military and naval veterans. Each institution runs its own tuition waiver program, so the amount of the waiver will depend on the school (e.g. UW covers up to 50% of in-state tuition). This tuition waiver may apply to undergraduate and graduate programs. How to Apply: Contact the Financial Aid Office at your choice of school. Each tuition waiver program is different, but schools will usually expect you to produce proof of your qualifying service (e.g. DD-214). Contact the Washington State Department of Veterans Affairs (DVA) for more info on education & training benefits for veterans and active military. Summary: ETV provides financial assistance—in the form of vouchers—to foster care youth who wish to attend an accredited college, university, vocational or technical college. These vouchers can be used for tuition & fees, books and supplies, room & board, transportation and other education-related costs. Award amounts vary depending on the college’s Cost of Attendance (COA) and a student’s financial need. The maximum annual award is $5,000, but not every youth receives the maximum amount. How to Apply: File your FAFSA and complete the online ETV Application. The award is renewable provided that you file a FAFSA each year, complete an ETV Renewable Application & continue to meet your school’s Satisfactory Academic Progress (SAP) and Pace of Progression requirements. Summary: The SWS gives low-income and middle-income undergraduates and graduate students the chance to use work experience to pay for part of their college costs. Students are not allowed to work more than an average of 19 hours per week while enrolled, or more than 40 hours per week during breaks. Award amounts vary based on financial need—students generally earn between $2,000 and $5,000 per year. How to Apply: File your FAFSA or WASFA—you will be automatically considered for the SWS program if you meet income requirements. The Student Employment Administrator at your college will have more information about the program. Even the cheapest college degree can be extremely tough on family finances. You may already know about Washington’s Basic Food (food stamps) program, but the Washington State Department of Social and Health Services (DSHS) also offers child care subsidies, emergency cash, non-cash housing and other assistance. You can apply for state benefits & services through WashingtonConnection.org. Ineligible for state benefits? Try calling 2-1-1 or visiting the website of Washington State 211. Staffed by knowledgeable counselors, 211 is a free service that connects people to social service resources (e.g. free food, affordable child care, rent assistance, housing support, etc.) and community organizations. You can also talk to your local Community Action Agency. These agencies manage & coordinate local programs for low-income residents. On-campus living has financial upsides—you’re not shelling out for commuting costs, rooms are usually furnished, utilities are included, amenities are plentiful and buildings are up-to-code (e.g. the plumbing works). If you’re unsure about your decision, experiment with the calculators on MappingYourFuture.org and CalcXML.com. These let you compare on-campus costs (meal plans, dorm fees, etc.) with off-campus bills (groceries, utilities, etc.). Keep size in mind. Big schools like WSU have lots of halls and price options; small schools have fewer on-campus choices. You should also check the housing section of your school’s website for info on current rates and housing requirements. For example, most first-year students at EWU and freshmen at CWU are required to live in a residence hall. To save money, a lot of low-income students live with roommates and select the cheapest meal plan. Worried that your financial aid package won’t cover housing? Talk to your high school counselor, the university’s residential life/housing coordinator or the Financial Aid Office. They may know of scholarships and work-study programs that can help you make up the difference. For instance, Seattle University’s Sullivan Leadership Award for outstanding scholars includes tuition and room & board. A lot private scholarships will also let you use award money to pay for campus housing. Even with utility bills and expenses, sharing an apartment with others can still be cheaper than campus halls. And in the case of commuter schools like Evergreen State, off-campus housing may be your only choice. For instance, in 2016, 76% of UW-Seattle students lived at home or in apartments. To avoid campus bills and meal plans, some students also opt to attend a community college for the first two years and transfer to a university afterwards. One place to start looking for accommodation is—believe it or not—the housing section of your university’s website. It usually has an area devoted to off-campus options, with resources, listings and information about private & university-owned apartments. For example, WSU has an Off-Campus Living Guide with checklists and legal advice. UW has housing.asuw.org, a housing resource created by UW students. Alternatively, you can look for cheap apartments on Craigslist, local boards and rental sites. A number of websites (e.g. CampusRent.com, ApartmentGuide.com, MyApartmentMap.com, etc.) now allow you to target affordable housing options around your college or university. If you’ve been evicted, the Washington Homeless Shelter Directory from HomelessShelterDirectory.org has a list of emergency shelters and transitional housing opportunities. Read your lease carefully. Landlords don’t always pay for utilities, so it’s important to know if you’re responsible for basics like electricity, water and heat. To get a sense of the budget, ask your landlord, the utility company or former renters for a monthly estimate of costs. Sharing an apartment with others? Be sure you have a written agreement with details about how utilities will be paid—you don’t want to have late payments on a bill in your name. If you’re living at home or already renting, there may come a time when you need help paying utility bills. Government programs like LIHEAP are one possibility. Initiatives run by Washington utility companies and private organizations are another. For example, many Public Utility Districts (PUDs) offer grants, emergency aid and bill assistance (e.g. Project Share, Share the Warmth, Helping Hands, etc.). Ask your utility company what’s available. Your local Salvation Army can also refer you to programs in your area. Practically every Washington college or university has its own student health center with free/affordable services. At minimum, these centers provide primary care, vaccinations, contraception, STD screening and healthcare advice. At maximum, they might offer dental care, radiology and more. For instance, UW-Seattle has both a Sports Medicine Clinic and a Physical Therapy Clinic. Regardless of size, many centers offer mental health counseling. Facing a problem that goes beyond a student health center? The Washington Healthcare Access Alliance (WHAA) has a list of Free and Charitable Clinics in Washington that offer medical care, dentistry and mental health services. Websites like FreeClinicDirectory.org and NeedyMeds also have directories of free community clinics and healthcare centers. For immediate help with a mental crisis, call the Mental Health Crisis/Suicide hotline at 1-800-273-8255. Finding affordable dental care is a trickier prospect. Student health centers can refer you to providers, but you’ll have to do some research on the best prices. For folks in Seattle, the UW School of Dentistry offers reduced fees to patients who are willing to be treated by (supervised) dental students. The EWU Dental Hygiene Clinic has a similar deal. Both FreeDentalCare.us: Washington and Washington 211 have long lists of low-cost dental care providers. A large number of Washington State community colleges and public universities (e.g. WSU, UW-Seattle, CWU, WWU, etc.) have daycare facilities on campus. Since these are always extremely popular, it pays to apply as early as you can. Ask if subsidies & grants are available for students. For example, WSU provides Child Care Access Means Parents In School (CCAMPIS) grants to university students who meet PELL grant requirements. And don’t forget the state. The DSHS’s Child Care Subsidy Program can help low-income families pay for child care at licensed centers or at home. In addition, your kid may qualify for the Early Childhood Education and Assistance Program (ECEAP) or Head Start preschools. ChildCare Aware of Washington has a list of child care assistance programs and a handy online child care search. Call their counselors at 1-800-446-1114 for free advice and referrals. Whatever your choice of vehicle, take a few minutes to visit the transportation section of your university’s website. It won’t be exciting, but you’ll find plenty of ideas for reducing commuting costs (e.g. bike rentals, carpools, vanpools, ridesharing, free campus shuttles, etc.). For instance, Evergreen State has a free PASSPORT Parking Permit for students who are willing to take alternative transport (e.g. bus, bike, etc.) to campus at least 60% of the time. This section will also point out deals with local transit companies. For example, UW’s U-Pass entitles students to unlimited rides on buses, commuter train service and light rail. WSU students with a Cougar Card ride free on Pullman Transit buses. And every Evergreen State student can ride an Intercity Transit bus for free with ID. National carriers like Greyhound and Amtrak also offer student deals. In response to a crisis of hunger among students, a lot of Washington schools—including UW, Evergreen State, Centralia, Bellevue and more—have opened campus food pantries. What’s more, some dining services have programs to supply at-need or homeless students with leftovers. If you’re living in campus housing, talk to the Financial Aid Office. There may be ways to reduce the cost of your meal plan. Or you can turn to your community. Washington 211, HomelessShelterDirectory.org and FoodPantries.org have large directories of food pantries throughout Washington State. Many will be happy to serve you without questions. New moms or moms-to-be may also wish to see if they qualify for the Washington WIC Program. Housing costs in Seattle are notoriously expensive—in 2016, Sperling’s Best Places put the average cost of housing at more than twice the national average—so be prepared for high rents, especially in University District and University Village areas near UW. On the upside, the city has a great public transport system and plenty of bikes, so you may be able to ditch the car and live further off campus. Moderate weather makes for lower heating bills and the place is packed with affordable entertainment options. General info for residents can be found on the City of Seattle website. Do you already live in Seattle? Worried about preparing for college or trying to get back in the education game? Many Seattle non-profit organizations have developed programs that are targeted at students—of any age—who need a bit of assistance achieving their goals. Seattle Education Access (SEA) helps low-income and self-supporting youth (aged 16-29) in King County achieve their dreams of higher education and meaningful employment. To supplement financial aid packages, students enrolled in the College Success Program receive scholarships for tuition, textbooks, bus passes and other basic needs. College Access Now (CAN) helps students from low-income families graduate from college. CAN participants receive constant assistance throughout their junior & senior years of high school and all the way through college (e.g. help with mentorships, internships, financial aid, adjustment to life on campus, etc.). The program is completely free. Neighborhood House helps immigrants, refugees and low-income residents of King County tackle economic, educational and employment challenges. It provides family & social services, career assistance & job training, support with housing, affordable child care and much, much more. El Centro de la Raza serves as a hub for Seattle’s Latino community, with a large variety of bilingual programs & services. Child and youth programs include job training, college readiness programs, middle grade summer programs and a youth leadership institute. Adults can also receive assistance with employment, tax preparation, home retention/purchase and life skills (including ESL). Home to Gonzaga, SCC, EWU-Spokane and WSU-Spokane, this “small town” city has more students than you might think. In contrast to Seattle, Sperling’s Best Places puts the overall cost of living below the national average. Housing is affordable and traffic is minimal, but crime is high and affordable entertainment options are extremely limited. If you like nature (and farming), you’ll have plenty of opportunities for low-cost exploration. But you may wish to budget for a car. General info for residents can be found on the City of Spokane website. Looking for county-based college scholarships? Searching for affordable child care in Spokane? Trying to find tutoring for the GED? Whatever your challenge, these Spokane organizations are ready to lend a hand. The Inland Northwest Community Foundation (INCF) has a long list of college scholarships available to students in both Washington and Idaho. In general, these scholarships are available to students who plan to enroll as full-time undergraduates at an accredited two- or four-year U.S. college or university or at an accredited vocational or technical institution. Next Generation Zone provides education, career training and employment resources to young adults ages 16-24. What’s more, its Open Doors program offers GED and High School Completion options for students that have previously dropped out of school. Programs are free to qualifying participants. In addition to providing career & education assistance, the SouthWest Spokane Community Center (SWCC) operates a low-cost preschool and after school child care for income-eligible families and a Friday food bank. There are similar Spokane Community Centers located throughout the city. The American Indian Community Center (AICC) serves urban-based Native and Non-Native families in greater Spokane. It provides an array of employment, educational (e.g. GED classes) and social services and runs a food bank. Tacoma is the grittier younger sibling to Seattle. According to Sperling’s Best Places, the overall cost of living is just above the national average, and housing & utilities are generally affordable, but crime remains a big problem. The Sounder commuter rail can take you to Seattle, and the city has a bus system and short light rail, though you’ll require a car in certain neighborhoods (and traffic is a pain). General info for residents can be found on the City of Tacoma website. In recent years, Tacoma has doubled down on its efforts to help city residents prepare for college. If you’re searching for scholarships, training, support and a sympathetic ear, have a look at these organizations. The Greater Tacoma Community Foundation (GTCF) has college scholarships for students in the Tacoma-Pierce County community. These scholarships provide tuition assistance at vocational, two-year, or four-year colleges or universities throughout the U.S.
Resources for Education and Career Help (REACH) Center is a one-stop service center for young adults (ages 16-24) who need help with advancing their education and career. Programs include on-site GED instruction, support with college applications and admissions, free educational workshops and lots of help with jobs. Tacoma Community House has a large range of programs focusing on education, employment, immigration and advocacy. Services include ELA classes and one-on-one tutoring, job training and even a partnership with Bates Technical College to help train Certified Nursing Assistants. Palmer Scholars offers scholarships and assistance to low-income minority students living in Pierce County. In addition to financial support of up to $5,000 per year, the program supplies college readiness training, mentorship, internship opportunities and ongoing support.